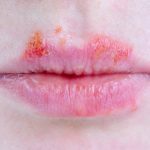 Fever blisters, commonly known as cold sores, appear as outbreaks on the skin near the mouth. The factors contributing to fever blisters can be stress- either mental stress or stress on the skin, hormonal changes, overexposure to sunlight and weak immune system. Fever blisters can often be very painful and are treated using topical antiseptics. The use of tea tree oil, a naturally available essential oil has gained a lot of popularity as a cure for fever blisters. Here you can learn how to use the therapeutic power of tea tree oil for healing fever blisters. Tea tree oil is derived from tea tree which is native to the South-eastern Australia. Tea tree oil has been studied and proven to have a number of health benefits and can also be used as a therapeutic in a number of cases. 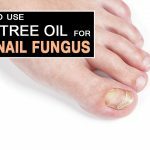 Does Tea Tree Oil Cure Fever Blisters? The antiviral properties of tea tree oil can be very effective in treating fever blisters. Tea tree oil is a natural immunostimulatory compound which means that it can enhance the immune system to fight against bacterial or fungal infections. It can help with cold sores, influenza, gingivitis and glandular fever. 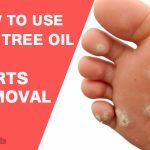 How to Use Tea Tree Oil for Fever Blisters? Combine one part of tea tree oil with 3 parts of water. Use a cotton swab to gently apply the mixture on the affected areas of the skin. 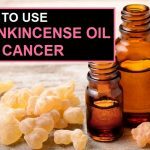 This can be applied to the skin 3-4 times a day. The healing process should start from the 2nd Repeat till the fever blisters get cured. Tea tree oil can be mixed with equal amounts of olive oil and then a bit of eucalyptus oil must be added. This mixture can be applied using a cotton swab. This should be applied as many times as needed on the affected area until the fever blisters get cured. Tea tree oil is proven to be toxic if taken orally; the only method of application for tea tree oil is by topical application. Take special care to avoid ingesting it; and keep it away from the reach of children. If someone accidentally ingests it make sure to take them to the doctor immediately. Tea tree oil has been proven to cause some side-effects if used in high concentrations on a regular basis. 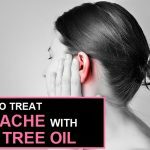 Nausea, vomiting, headaches, skin allergies, rashes and discomfort to the throat are some of the side-effects caused by the use of tea tree oil. Tea tree oil should always be stored in a cool and dark place as it reacts with light, thus losing its efficiency as an anti-microbial agent. 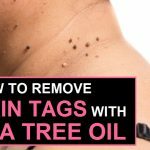 How To Remove Skin Tags With Tea Tree Oil?